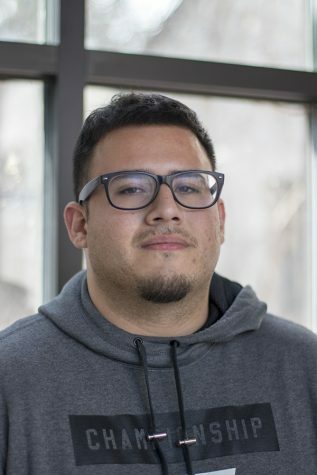 Anthony De Leon is a 23 year old 3rd year Fresno City College student and is starting his third semester writing for The Rampage and his second semester as Rampage sports editor. Becoming a Journalism student in 2014, Anthony has a passion for all things sports, music, and opinion. Born and raised in Fresno, his plan is to finish up his Associate Degree in both Journalism and Communications transfer over to Fresno State in the Spring of 2019. During his time at The Rampage he has covered numerous events including 2018 Grizzly Fest and the WBC world title fight between Jose Ramirez and Antonio Orozco. Anthony has experience writing articles in music for his blog “Hip-Hop’s Passin Me By,” where he would write album reviews amongst other topics. In his spare time Anthony frequents music festivals which have included Coachella, Life is Beautiful, Hard Summer, and many others. Anthony has dabbled in amateur photography and has experience in that field. Anthony also received Honorable Mention in Sports Game Story at the Journalism Association of Community Colleges 2018 state competition. When not in the newsroom Anthony has had experience on the gridiron coaching football for both McLane and Sunnyside High School and with 4 years of coaching under his belt. Anthony's career aspirations include working for a major news organization and being a sports talk radio personality.